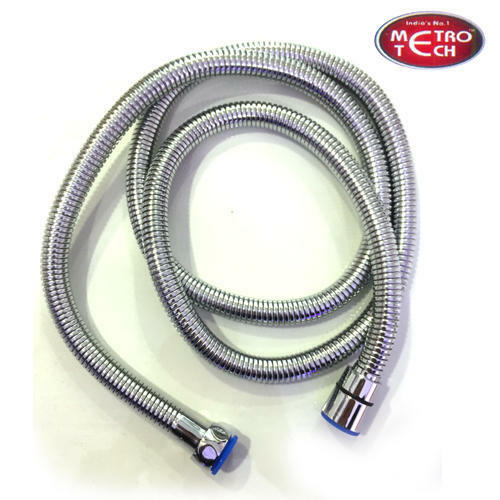 Aimed at prosperous growth in this domain, we are instrumental in offering an excellent quality range of Shower Tube. we are engeged in the manufacturing of qualitative range of Cantilever Bracket for wall hung WC'S, Rack Bolt for wall Hung WC's and wash Basin and Fastners for various Industrial & Residential applications. Our organisation is recognized as the leading manufacturer & supplier of Wall Hung WC Brackets, Rack Bolt For Wash Basin, Rack Bolt 12 MM, Inlet & Outlet Rubber Gaskets, Waste Connector Pipe, Offset Waste Connector, Flexible Pan Connector, Fancy Wash Basin Bracket Set, Bracket Set For Concealed WC, Stainless Steel Bidet Bolt for Wall Hung WC, Urinal Brackets Set etc. Our Products are Manufactured under the strict direction of highly skilled professionals using premium grade material and advanced technology. These products are availiable in various specifications as per clients requirement. Our Product range is appriciated for the features like- High Durability, Excellent Quality & Strength, Perfect Finish, Corrossion Resistence and Dimensional Accuracy.